What’s up ? This is THE stephane ANDRE ! I read a Frederic Delavier’s book « Strength Training Anatomy » and I learned good stuff. 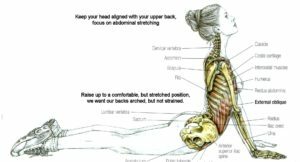 Maintain this position for few seconds while breathing slowly to feel the stretching of your abs. It’s possible to make this movement with your hands on a bench and your feet on the floor, or you’re lying on your back on a big ball (Swissball). 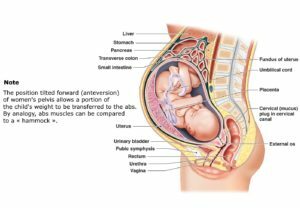 Stretching of abs can be an important element in some sports like throwing sports, especially the javelin. In this type of sports, it’s essential to have good flexibility and a good abdominal amplitude to make the movement perfectly. 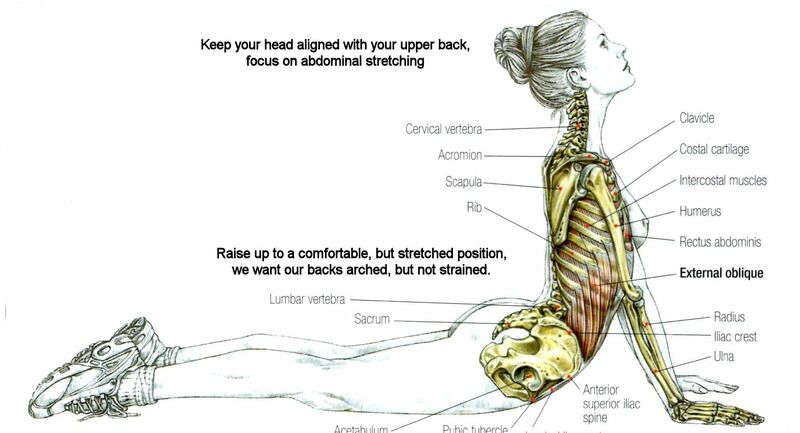 Abs stretching are to be avoided in case of lumbar pathology. 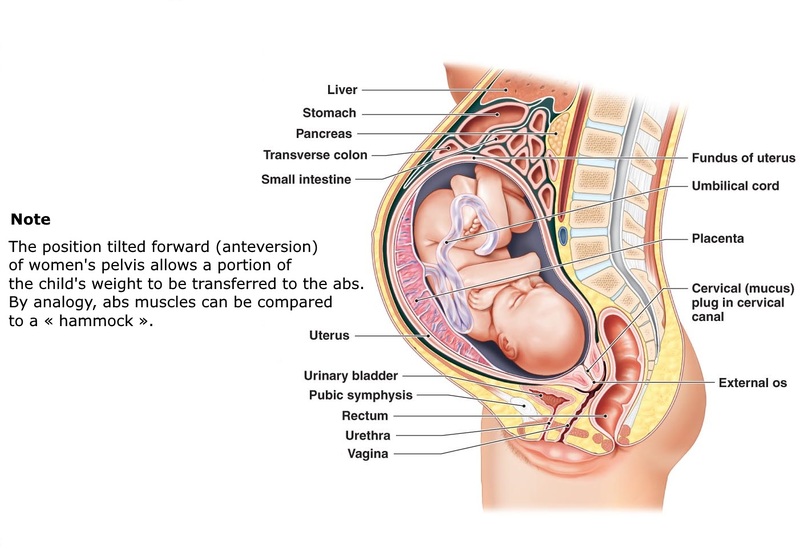 The position tilted forward (anteversion) of women’s pelvis allows a portion of the child’s weight to be transferred to the abs. By analogy, abs muscles can be compared to a « hammock ».